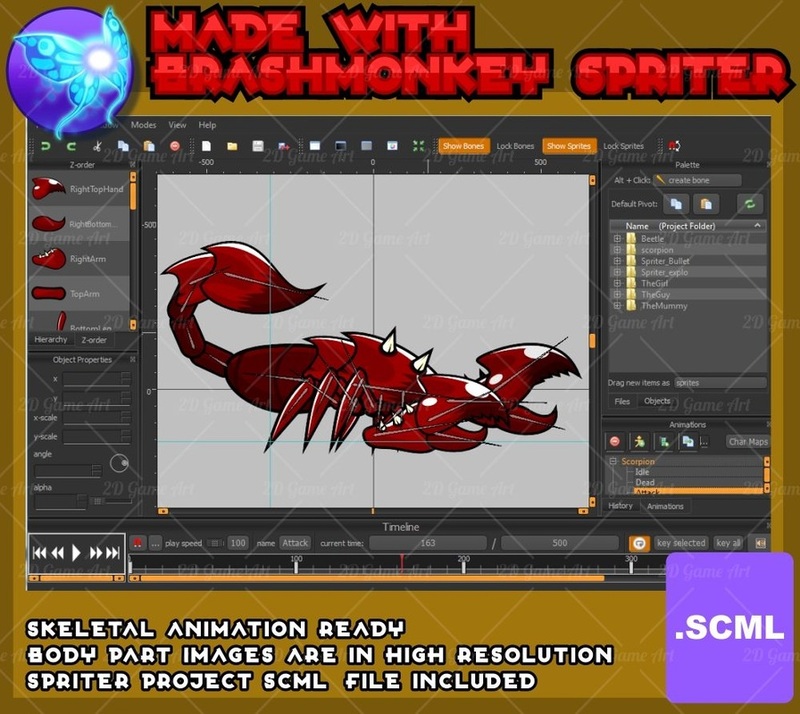 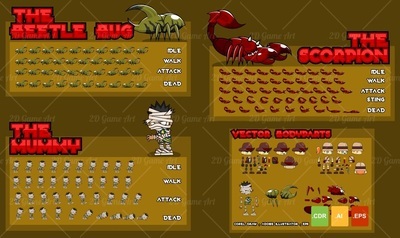 A collection of various characters sprites for creating a 2D platformer or sidescroller game. Especially games with adventure, pyramid, temple, jungle, forest, treasure hunter, tomb raider, animal hunter, and other similar theme. - 2 hero. 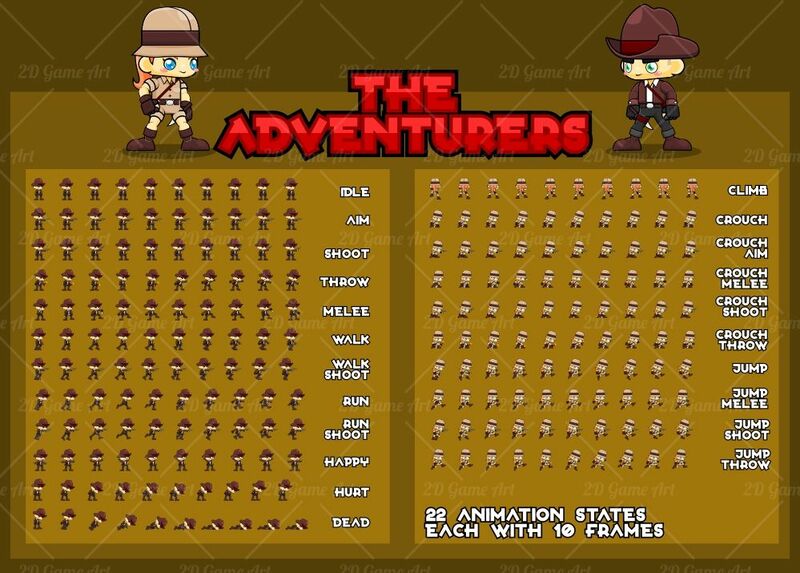 With 22 animation states. Each in 10 frames. 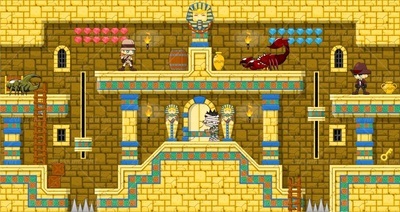 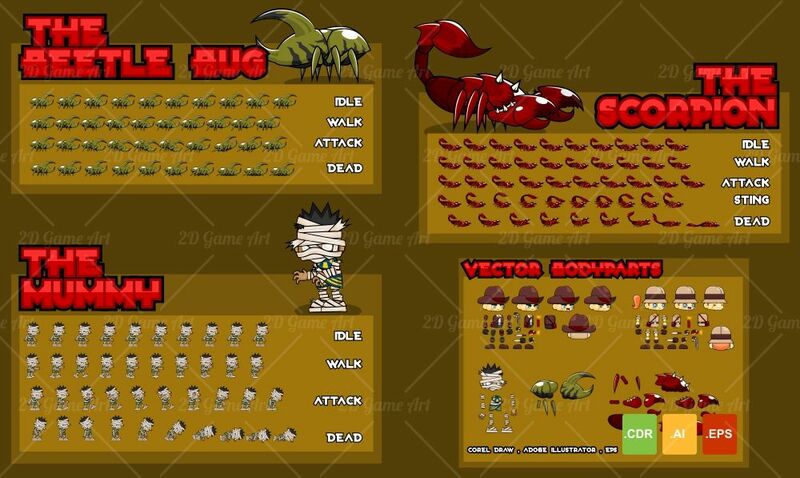 - 3 enemies: Scorpion, Beetle Bug, and the Mummy.